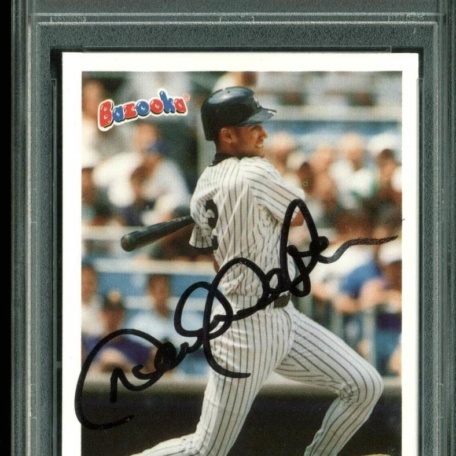 This Autographed 1996 Bazooka #80 Card has been Personally Signed by Derek Jeter of the New York Yankees. 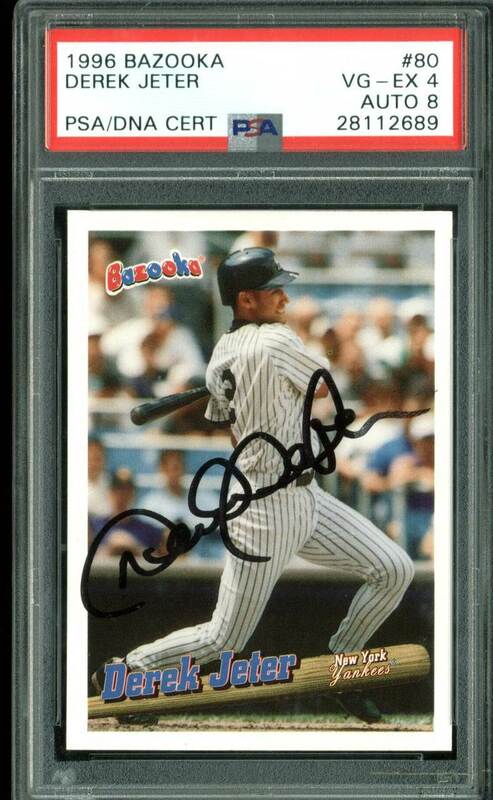 This item is 100% Authentic, it comes slabbed and authenticated by PSA/DNA. The authenticity can be verified on Professional Sports Authenticator website. 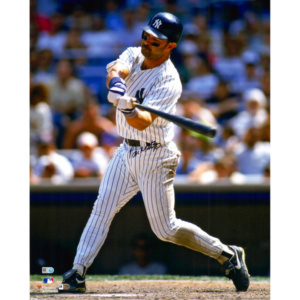 Press Pass Collectibles only offers Authentic Autographs by Derek Jeter through Signings, In-Person Signings or Private Collections to include a 100% money back Lifetime Authenticity Guarantee. 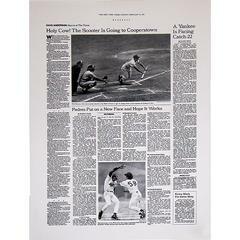 Don Larsen’s baseball career can be defined by the historic events that took place on October 8 1956. On that day Larsen became the first and only player in MLB history to throw a perfect game during World Series Play. Perfection took just 97 pitches and only went to a three-ball count once to beat the Brooklyn Dodgers in Game 5 of the World Series. 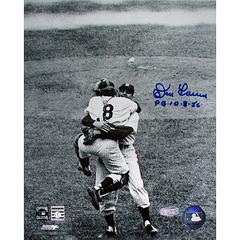 brbrCommemorate Larsens accomplishment with this Don Larsen hand signed first pitch 8×10 photograph and added the special inscription ‘PG 10-8-56.’ This product includes a Steiner Sports Certificate of Authenticity. Unforgettaballs! 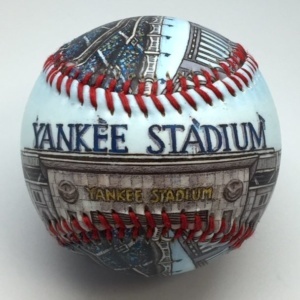 presents the new Yankee Stadium Baseball. A new era is born for New York fans! The new Yankee Stadium opens its doors on April 16, 2009. It is a beautiful combination of the history and architectural details from the old stadium, with a touch of 21st century comfort and style. 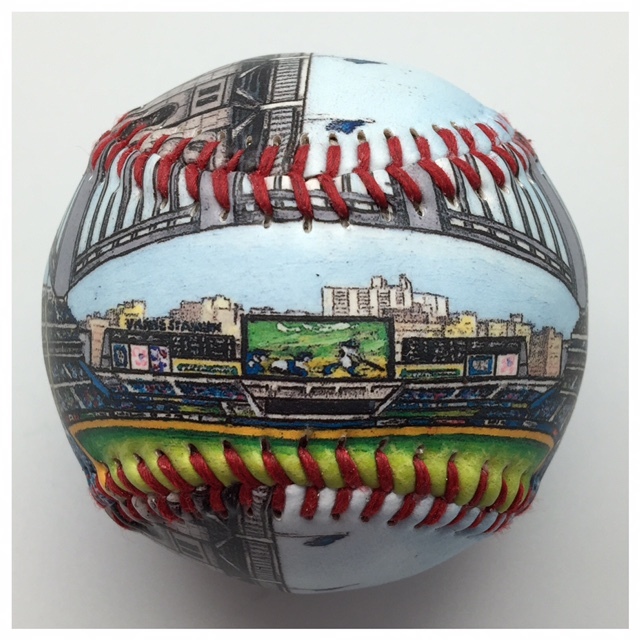 This baseball is a print from a hand painted original that shows the new building from both the outside and the inside view.